The Gentlemen's Monthly: Who's counting? Someone at Steds is! 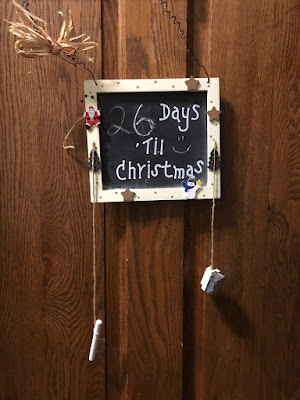 Yes, some Stedsmen are counting down the number of days until Christmas, and all around the Hall there are various reminders of that. Here's one such reminder. Still, I wonder if any of the Stedsmen are counting down the days to Finals? On counting the number of days until the start of Final's Week, Matt Turk, Steds sophomore and resident of room 224, said, "I'd like to not think about that number."